Group pages are commonly used for creating a home page with information regarding certain group of members. In this tutorial we are going to show you how to create such group page and how to add members to that group. 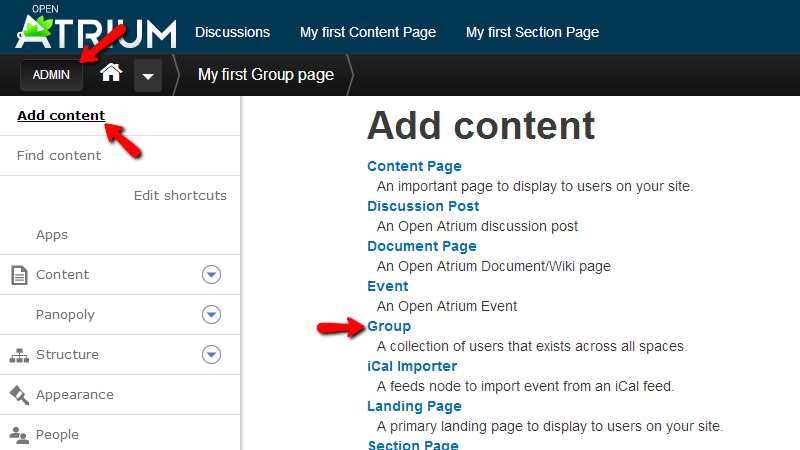 In order to create a group page you will need to access Admin>Add Content and then to click on the Group link in other to begin configuring your group page. In the Create Group you will find large amount of options which you will need to configure in order for your group page to be created. Let’s begin with the Title and Description options which are respectively for configuring the title and the description of your group page. 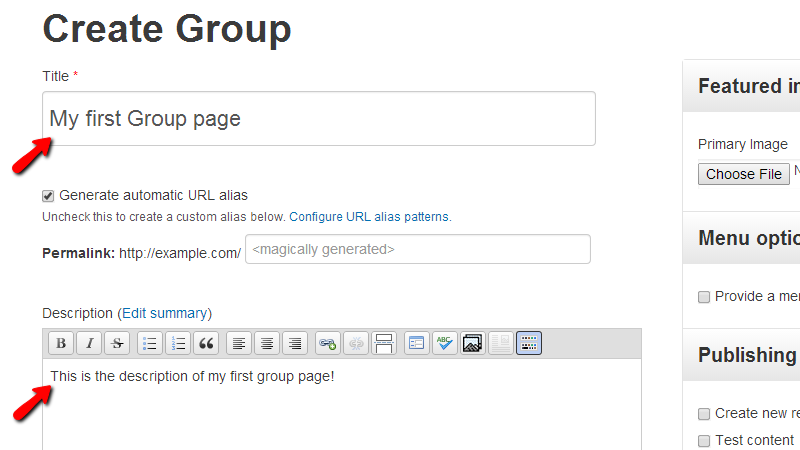 Next you will find the Group visibility and there you will be able to configure who will be able to see that group page. 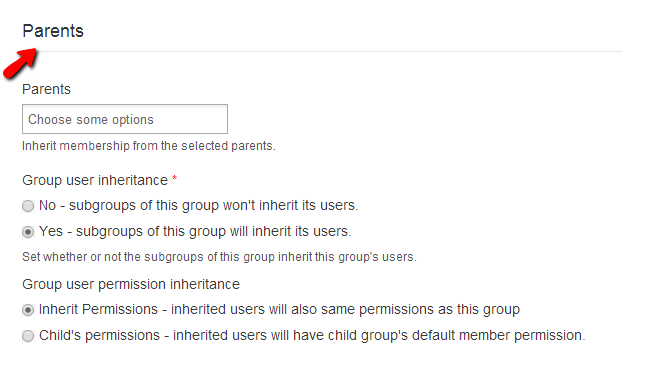 The next option is called Parents and there you will be able to configure the inheritance of the group to subgroups and also the permissions inheritance. The last options in the content section of this page are for the Notifications, group roles and permissions where you will be able to configure to whom the notifications from that group page should be sent and also the roles and permissions of the group. Now if you scroll back to the top of the page you will notice that there are few additional configuration options in the blocks displayed in the sidebar of this page. 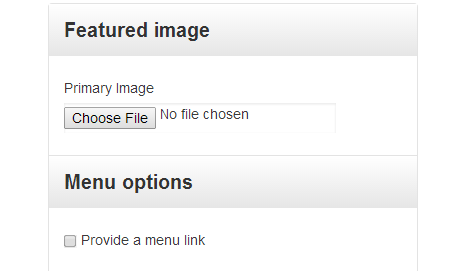 First you will be able to find the Featured Image and Menu options blocks where you will be able to upload featured image of to configure a link for this group page in the main menu of your website. 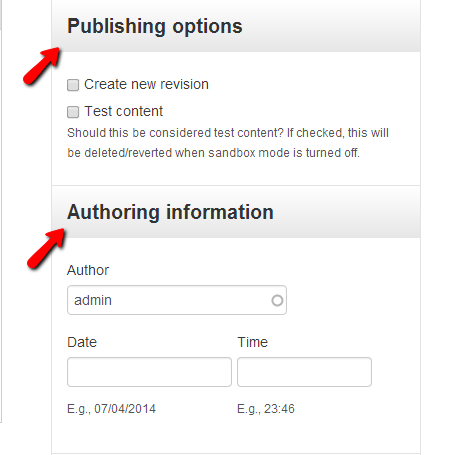 Next you will find the “Publishing options” and “Authoring information” blocks where you will be able to configure the publishing of the group page and also the author, date and time of publishing. Last but not least at the bottom of the sidebar you will be able to find the buttons for Publish, Save as draft and “Preview” which will allow you to respectively publish, save as draft or preview the configured group page. Once you are ready with all of the configurations please publish the page by clicking on the Publish button at the bottom of the sidebar. Once you have created the Group page you will be redirected to the same and most probably you will notice that there is only a single user listed in the Members section of the page. In order to add more users to the group you will need to use the Add Existing User options section displayed in the sidebar of this page. 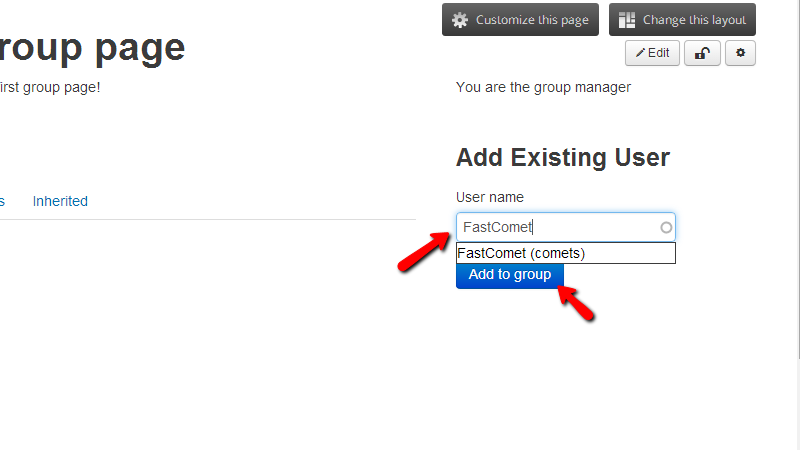 Simply enter the username of the user you would like to add and then click the Add to group button. Once the user has been added it will be listed in the Members section. Congratulations! 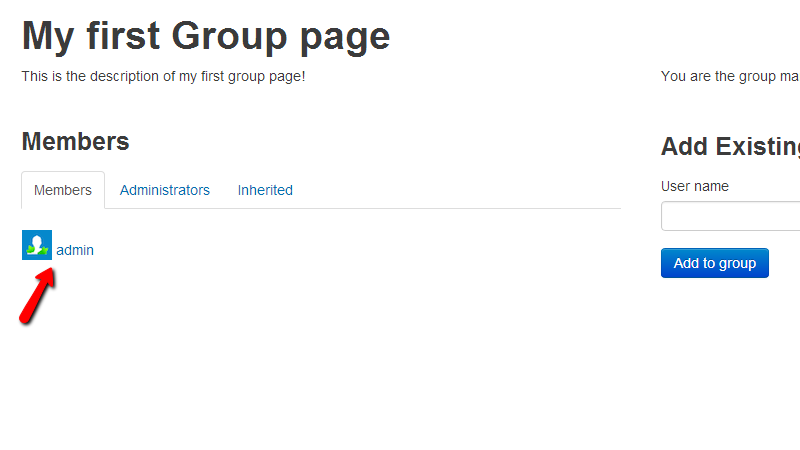 You have successfully created a group page and you have added users to that group!